Chip has served on council since January 1, 2014. LeAnne and Chip have lived in Berkeley Lake for 14 years. Their children; Jocelyn and Patrick enjoyed growing up here, and still live nearby. They and the two grandkids visit quite often. His current term ends December 31, 2021. 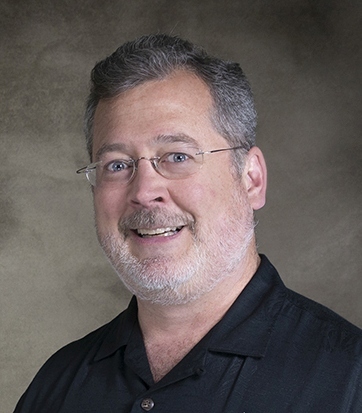 Since graduating from Georgia Tech, Chip has worked for over 30 years in the field of industrial automation, currently in a technical marketing role. Chip is also the educational contact for his company and assists secondary schools, colleges and universities with discounts and donations of automation equipment for their labs and classrooms. Chip enjoys designing and building, whether it’s developing a website, making home improvements, or helping with community projects. Chip has served on the board of the Berkeley Lake Homeowners Association (BLHA) in various roles: webmaster, membership director, and president. He was on the board when the September ’09 rain event occurred and, during his two years as BLHA president, he worked closely with the mayor and other city officials during the planning phase of the dam reconstruction project. In 2011, Chip launched the Berkeley Lake chapter of Nextdoor, a private social network exclusive to and open to all Berkeley Lake residents. Nextdoor Berkeley Lake has grown to include over 60 percent of the households in Berkeley Lake and has become a great way to stay connected with the community, find a lost pet, etc. Chip is on the Board of Directors for GeorgiaFIRST Robotics Inc. Since 2008, Chip has been involved with that non-profit corporation dedicated to encouraging Georgia students to pursue careers in science, technology, engineering and math (STEM) by organizing and producing competitive robotics events. In addition to serving on the board, he also volunteers his time at various robotics events every year. Chip also serves on the Executive Advisory Board for LifeSouth Community Blood Centers; a community blood supplier for local hospitals in Alabama, Florida and Georgia. He is a long-time blood donor, and he coordinates blood drives for his fellow employees.